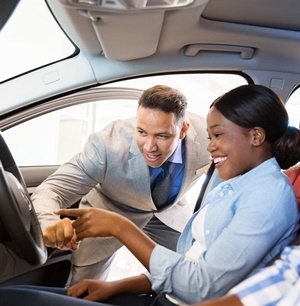 Cape Town - While the extended period of rand weakness a year ago drove consumers to the pre-owned vehicle market, new data shows the pendulum is swinging back to the new vehicle market, according to Kriben Reddy, head of TransUnion Auto. The used-to-new vehicle ratio based on finance deals registered in the last quarter of 2017 indicates finance houses are financing 2.09 used vehicles for every 1 new vehicle, as compared to 2.49 in the first quarter of 2017. The TransUnion SA Vehicle Pricing Index (VPI) for new and used vehicle pricing dropped to 2.3% and 2.9% respectively in the first quarter of 2018 - from 8.8% and 3.7% respectively in the first quarter of 2017. A lower VPI indicates slower pricing increases and greater relative affordability for the consumer. "New cars were back in vogue during the first quarter of the year as competitive prices driven by rand strength, lower interest rates and inflation boosted demand by consumers on the hunt for enhanced value," said Reddy. The VPI showed a trend where new car prices had slowed down over the last three quarters. The pending VAT and fuel levy increases in April led to a slight lift in demand in the first quarter, as purchasers looked to buy before the increases kicked in. But the positive impact of an interest rate drop, lower inflation rates, a stronger rand and slow price increases from manufacturers all played important roles, according to Reddy. About 80% of vehicles sold are imported and this meant the stronger rand had a direct impact on vehicle prices. When the rand is in a good position, manufacturers can bring pricing down, Reddy explained. Other positive factors included an improved political climate since the end of 2017 and a slight lift in consumer and business confidence. Many dealers have also chosen to absorb the VAT increases rather than pass them on via higher prices. "The underlying impetus of the recent trends is essentially the value proposition of new vehicle versus used vehicle, and the fact that there is now a better climate for new cars, including the benefits of innovative financing structures like leasing and maintenance plans," said Reddy. Notwithstanding these economic and market developments, TransUnion urged consumers to be careful when making major purchase decisions like buying a second-hand or upgrading to a new car. “Consumers must still ensure that from a credit perspective they closely watch affordability and manage their credit health. They must make sure the total cost of ownership is worked out and calculated carefully - including insurance premiums and the petrol price," said Reddy.